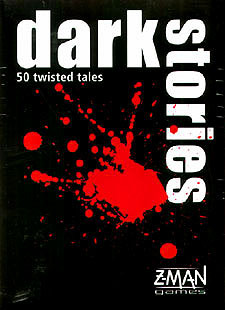 50 dark stories: 31 crimes, 49 corpses, 11 murderers, 12 suicides and 1 deadly meal. dark stories are tricky, morbid, twisted mysteries. Solve the puzzle! Ask questions, make guesses, and puzzle over these bizarre sequences of events as you reconstruct them piece-by-piece - alone or with friends. A creepy bit of fun that will quickly capture your imagination and spice up any party.